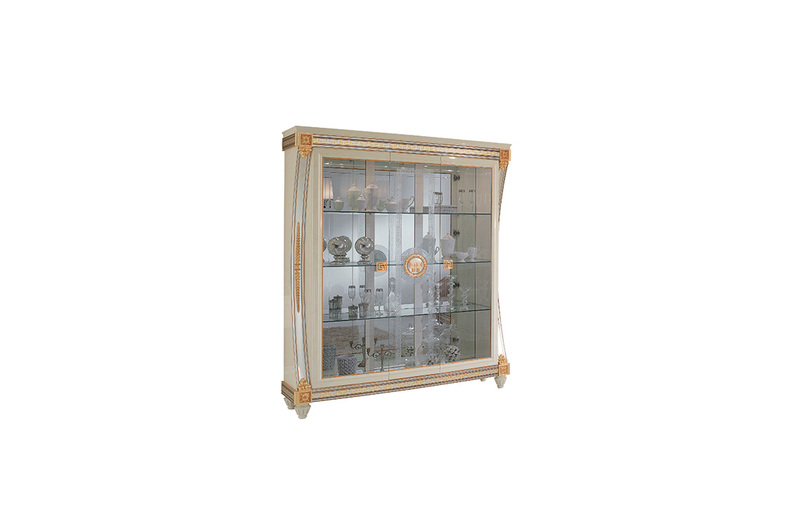 The Liberty display cabinet is an explosion of luminosity and lightness. Capacious, almost entirely in glass, it´s the showcase where everything turns precious: from the large central frieze with its square spiral - leitmotif of the entire collection – to the ornamentation on the two lateral columns. Everything about the Liberty display cabinet has been studied to command your gaze.